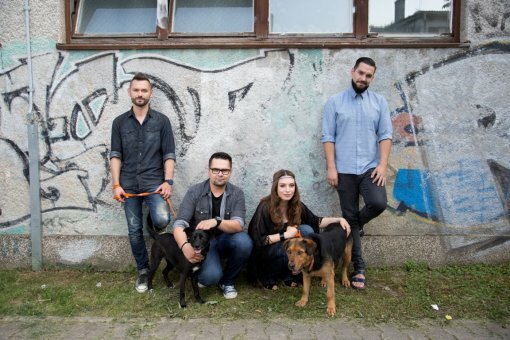 Popular Croatian rock band Vatra and their charismatic frontman Ivan Decak have joined this year's summer campaign titled "Family to the seaside, dog to the street?". Vatra showed their support by lending their faces to the campaign, and are featured on the billboards in many Croatian cities. Wouldn't it be better to save an animal by adopting them from a shelter instead of buying them like an object? Will I be able to provide unconditional care for an animal through their entire life? Will all my family members accept the animal? Do I know what is necessary for taking care of an animal and do I have enough money for vaccination, microchipping, food and veterinary care? Will I be able to take my new friend with me or arrange pet sitting when I take a trip? 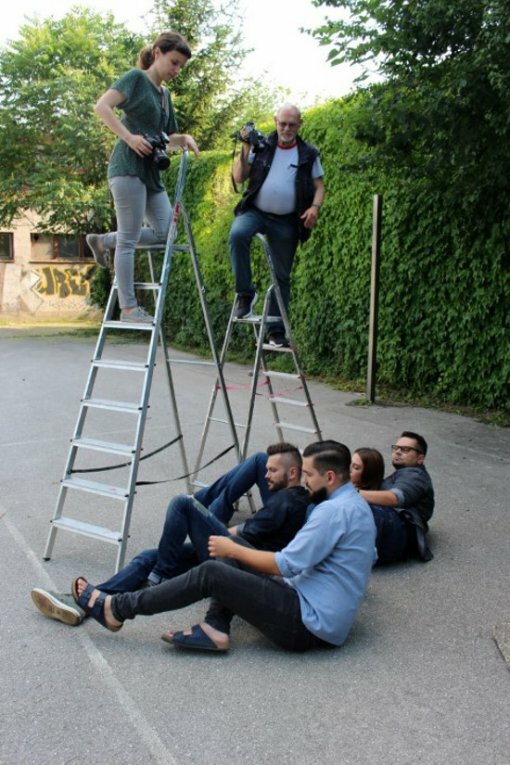 Vatra band members urged citizens to be responsible adopters, and Ivan Decak commented on the problem of abandonment: "Imagine what it would be like to have everyone disown you and throw you out on the street. Don't do to others what you wouldn't want done to yourself, be it people or animals!" Bass player Tomislav Susak stated: "For me, animals are a responsibility which you have to consciously accept. They are living beings whom you have to take care of. Getting an animal should not be a spur-of-the-moment decision. You will have to change and adjust your life habits because animals are our life partners who deserve our full attention and love." Animal abandonment is a serious problem in Croatia, but even more alarming is the fact that many cities still do not have adequate animal shelters, info centers, spaying/neutering programs, and citizen education programs on animal welfare in spite of their legal obligation. The data from registered shelters for 2014 available to Animal Friends Croatia does not indicate a high level of concern for abandoned animals. Last year, 11 shelters that provided the data housed more than 4000 animals – more than 300 animals per shelter! According to the data, about 2000 animals were adopted. As there are only five no-kill shelters in Croatia, hundreds of animals were put to death, which is a national embarrassment. Only 1000 animals were spayed/neutered. The shelters have warned about a 50% increase in the rate of animal abandonment during the summer months, but stressed that animal abandonment is a year-round issue. In spite of the fines of up to 15,000 kunas, abandonment is ever-present, which clearly shows that the main problem is the non-enforcement of legal regulations. 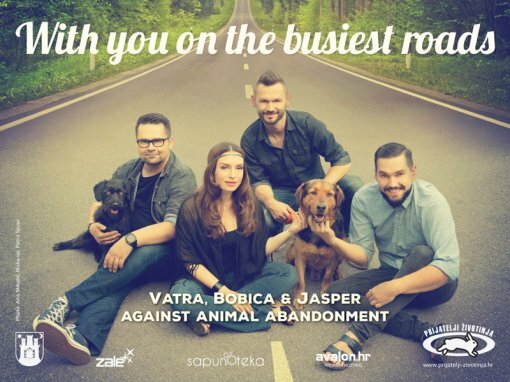 Vatra and dogs Bobica and Jasper advocate adoption instead of buying animals and encourage you to raise your voice against the abandoning and killing of animals, but emphasize that adoption entails a lifelong commitment and adequate care. 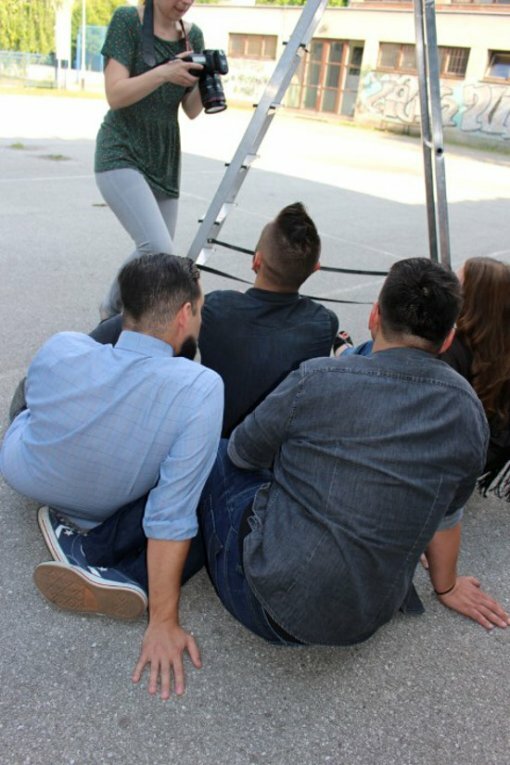 Professional and voluntary assistance was provided by Ana Mihalic (photography), Petra Sever (make-up) and Maja Zaklan (billboard design). The campaign was developed in collaboration and with support of the Zagreb City Department for Agriculture and Forestry, Zagreb City Shelter for Abandoned Animals in Dumovec, Europlakat, Art, Studio Zale, Vector Design, Avalon, bio&bio stores, and Sapunoteka. The billboard image, more information on how to help abandoned animals, and classified ads for adoption and pet sitting can be found at www.prijatelji-zivotinja.hr.